It’s a new year, full of exciting challenges and fresh goals. 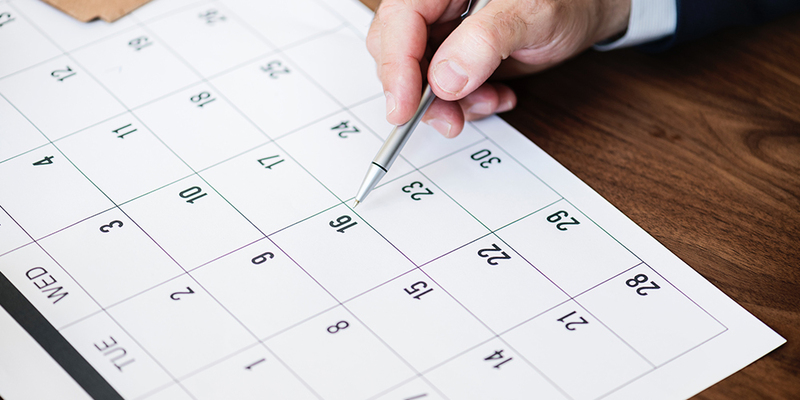 And it’s the perfect time to evaluate your funeral home marketing to ensure you’re staying up-to-date with best practices and devoting time, energy, resources and focus to those areas that are likely to have the biggest impact on your business. Since the vast majority of your client families look for information about your services online, it’s a good idea to start by focusing your efforts in three key areas: your website, Facebook page and online reviews. Your website is likely one of the most-viewed components in your funeral home marketing strategy, but many funeral businesses don’t leverage that digital landscape as well as they could. This year, take a hard, critical look at your site. Is it showcasing the very best your funeral home has to offer? Does it truly reflect the quality of service and support you offer when families visit your business in person? Are there ways you can tweak the layout and navigation to share your story with every website visitor? Reevaluate Your Content: Think about what most consumers don’t know about funeral planning and try to anticipate the questions they will have when they visit your site. Are you setting clear expectations for what they can expect when they work with your staff? How transparent are you about your service options and prices? Are you giving visitors something to do before leaving your site – a way to request additional information, an option to set an appointment, an interactive planning tool, etc.? If not, consider revamping some of your website content to more effectively educate and engage site visitors. Reevaluate Your Layout: Most visitors to your website are looking for a deceased loved one’s service information. Funeral homes accommodate this by placing the obituary link in the most prominent location on their homepage. That’s not necessarily a bad thing – in fact, it is often the result of your customer-centric focus on anticipating families’ needs and providing exceptional service. However, when you place your obituary link in the most visible location on your homepage, you miss opportunities to educate visitors on the value of what you do and what makes you stand out from competitors. When designing your site navigation, ensure that the journey to your obituary page passes through important information about your firm, the services you offer and the what makes your business unique. Reevaluate Your Accessibility: For years, digital marketers have affirmed the importance of having a mobile-friendly website. That is truer today than ever before. In 2018, internet traffic from mobile devices outpaced desktop and laptop use – peaking at 52.2%. If your website doesn’t already offer a mobile-friendly experience, that should be your top priority this year. But you should also consider other accessibility features – like offering text alternatives for hearing or seeing impaired visitors, providing options to navigate the site on a keyboard or ensuring the font size is readable. It’s likely that some of your website traffic comes from people of varying abilities. Accommodating them in your digital space helps set the tone for the ways you will address their needs when they visit your funeral home in person. Remember that, for many client families, your website is their first impression of your funeral business. It’s worth spending a little extra time this year to ensure it’s truly a reflection of the best you and your staff have to offer. Customize Your Messenger: When page visitors have questions about your funeral home, they’re likely to send you a private message. Since funeral service is unpredictable, there’s no guarantee you’ll be at your funeral home – let alone a computer – when a message comes in, so set up the messenger on your Facebook business page to send an automatic reply when new messages arrive. Something simple can do the trick – just be sure to set expectations for follow up: “Thank you for your message. Our staff is happy to assist you and will respond within 24 hours. If this is an emergency, please call our funeral home directly at…” You can also set up an automatic greeting through Facebook that will appear when a visitor opens up the messenger window on your page before they even send their message. Take Advantage of Facebook Blueprint: Did you know that Facebook offers a robust catalogue of courses designed to teach businesses how to get the most out of the platform? Any user can visit Facebook Blueprint to access 75+ free online courses on everything from building brand awareness and placing Facebook ads to increasing sales and generating leads. The courses are short, too, so you can complete most of them in 15 minutes or less. Just a few small changes like these could make a big impact on the effectiveness of your social media presence. Online reviews impact nearly 70% of all purchasing decisions. Nine out of 10 consumers will read an online review before they ever step foot inside your business. Eighty-four percent place as much trust in online reviews as in recommendations from friends and family members. If you’re not sure if your funeral home even has online reviews, google it. You may be surprised at what you find. And if you’re not already encouraging satisfied families to leave reviews on Google, Yelp and Facebook, you need to start. I’ve seen funeral professionals do this successfully in a number of ways. Some build this into their one or two-week aftercare home visits. Others talk about it when a family comes in to pick up death certificates. I even know of one funeral director who provides every family with his cell phone number and texts them after the service to check in. Once they have a conversation started, he sends them a direct link to their Facebook page to make it as easy as possible for them to submit a review. Whichever way you ask, it’s important that you focus on online reviews this year. What will you be focusing on in 2019? Leave your ideas in the comments below.